In the last year we have experienced improvements in hygiene and sanitation as well as in the rearing of animals and in construction. 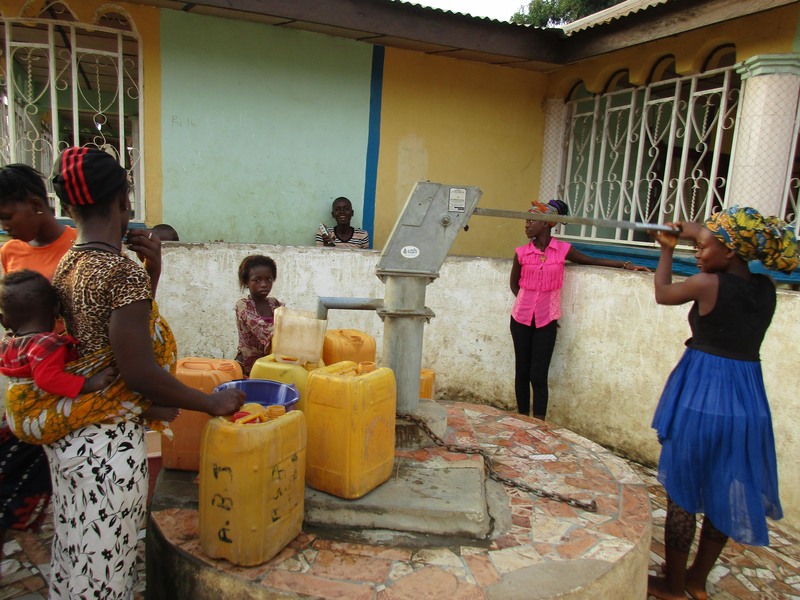 A year ago, generous donors helped construct a well for the community in Rotifunk at #4 Abidjan Street in Lungi, Sierra Leone. Because of these gifts and the contributions of our monthly donors, partners are able to visit project sites throughout the year, strengthening relationships with communities and evaluating the actual water project. These consistent visits allow us to learn vital lessons and hear amazing stories – we’re excited to share this one from our partner, Madieu Turay, with you. The area around #4 Abidjan Street is the fastest growing section in Rotifunk with over two thousand people in the community now. In the midst of this burgeoning population, Mariatu’s Hope has helped the community access clean and training in hygiene and sanitation. Many people have access to this well, which is located near schools in the community. While water for drinking is perhaps the greatest benefit that the well has provided this year, access to water has had a wider impact on the community’s health and the economy. 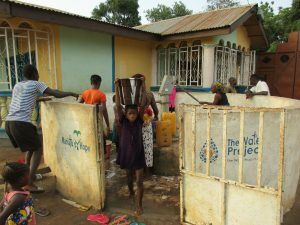 Community members fetching clean water at the well. Mohamed Sallieu Bah, a pharmacist in the community, identifies improvements in hygiene and sanitation, in the rearing of animals, and in building and construction.” Just as a river changes the landscape of a valley, access to clean water is changing the social landscape of Rotifunk. Mohamed Sallieu Bah and his son Mohamed. One of the changes that Mohamed Lamin Bah, age seven, has seen in his community is the ability of students, including himself, to arrive at school on time. Since collection of water is largely the responsibility of women and children, those without access to clean water spend countless hours walking to an unprotected source to gather water. Access to a water well in the community has also helped to reduce teenage pregnancy as the girls are not as vulnerable as they were on long walks to an open water source. As the community around 4 Abidjan Street continues to benefit from safe drinking water, Mariatu’s Hope will continue to walk hand in hand with them through consistent monitoring, evaluation, and maintenance. We are excited to stay in touch with this community and report back more positive stories. 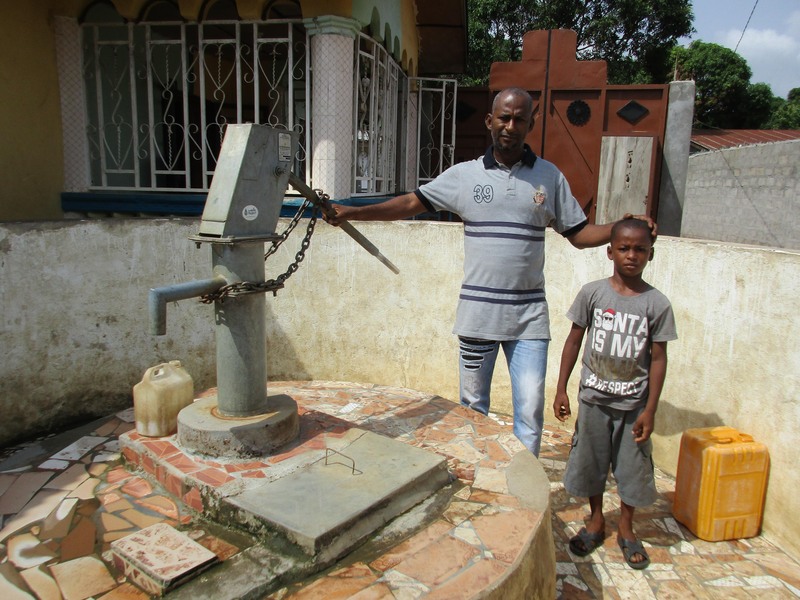 When you invest in The Water Project, you're investing in people like Mohamed Sallieu Bah. Your gifts help us reach more communities with the gift of clean, safe water. And every drop helps unlock potential.